Christine here today with a Spring shadow box project. Spring is nearly here and I don’t need any excuse to make cute projects with flowers! Please take a look to see how this shadow box is easily made with Scrapbook Adhesives by 3L products. I’m also sharing a handy use for Self-Laminating Pouches. 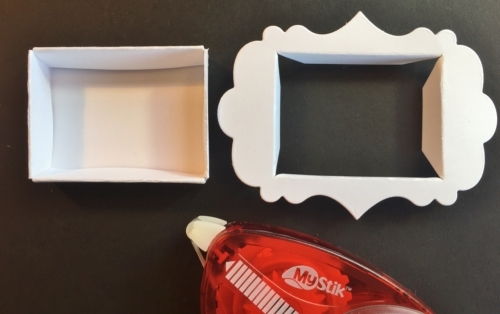 The shadow box is a die cut, once the sections are folded affix with MyStik® Permanent Strips. Because this adhesive is dispensed in little strips this makes it ideal to apply as little or as much as you need. To personalize the shadow box I wanted to insert a photo but how to protect it from dust? Easy – use a Self-Laminating Pouch. I’ve used the Cards Wallet size, they are also available in a variety of sizes. Also because these are cold laminating you do not need a machine, just peel back, insert your photo/keepsake and smooth down – yes, that easy! I affixed 3D Foam Squares White Regular to the reverse of the photo before inserting inside the shadow box. This gave it just the right amount of height and definition inside my shadow box. 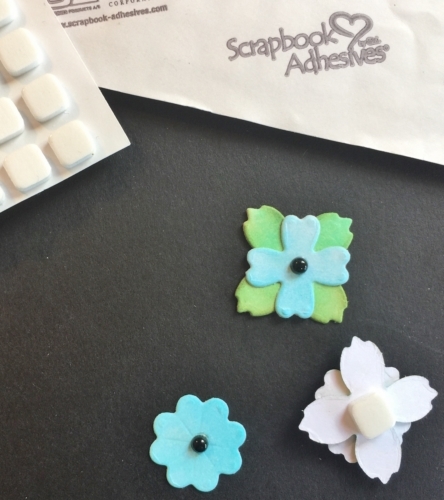 The 3D Foam Squares White Small are ideal for embellishments. 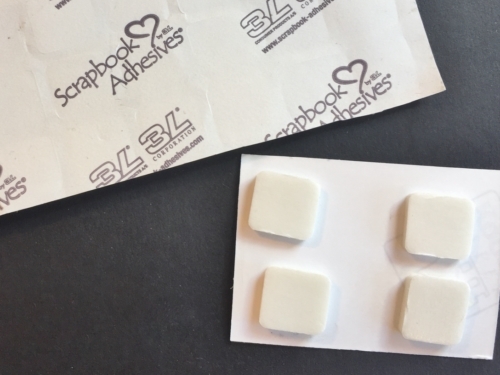 It is possible to have both sizes of foam squares in one pack with 3D Foam Squares White Mix. The finished project, you can attach this to a card, gift bag or create personalized table settings. This entry was posted in 3D Foam Squares, Adhesives, Crafts & Tutorials, Gifts, Home Decor, HomeHobby by 3L, MyStik® Dispensers, Seasonal Craft Ideas, Self-Laminating Cards, Spring and tagged 3D Foam Squares Mix White, 3D Foam Squares Regular White, Christine Emberson, Gift, Home Decor, HomeHobby by 3L, MyStik Permanent Strips, MyStik Permanent Strips Value Pack 1 Dispenser 2 Refills, MyStik Permanent Strips Value Pack 3 Refills, Self-Laminating Pouch Wallet, Spellbinders Paper Arts, Thank You, Thin 3D Foam Squares White. Bookmark the permalink. 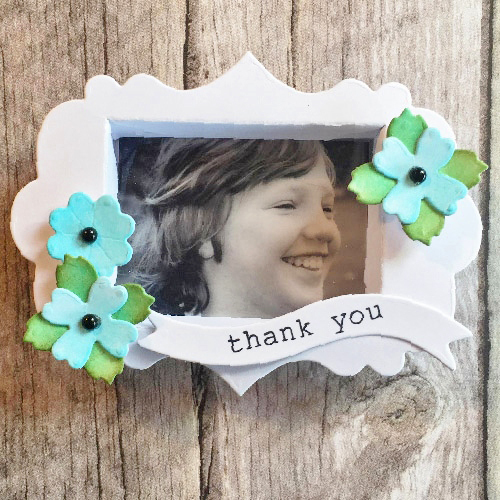 6 Responses to "Spring Inspired DIY Shadow Box"
Thank you a lovely project . I did not know about the lamenating sheets. 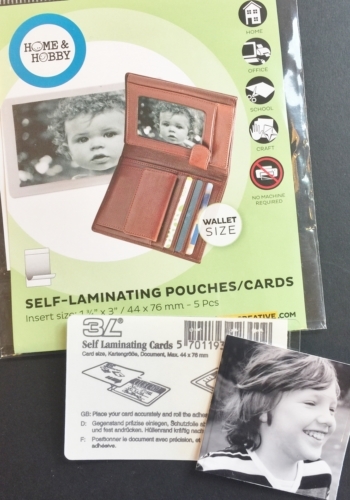 A great project Christine, cold laminating sheets are a good idea. Love the foam pads, the best ones I’ve used. Brilliant idea and lovely box frame. Thank you. I love this idea and putting the foam squares behind for some dimension is a great idea, so sweet! 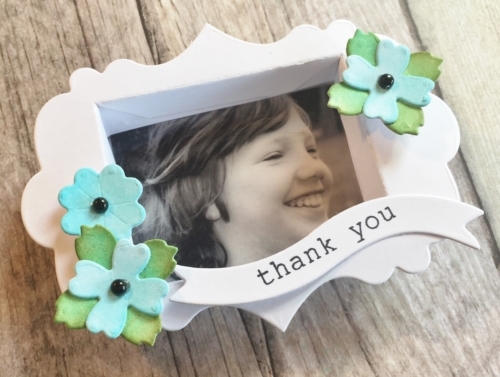 Hi Christine, This is so cute, a gorgeous frame box, and I love this piccie of Elliott, I remember his long hair, I loved it.